Happy Birthday Michelle!! CityScape Adventures worked with Michelle's friends to create a personalized Scavenger Hunt that helped them explore the city, learn more about Michelle and have a great time!!! 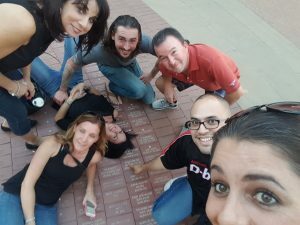 Whether it's a birthday party, bachelorette party or team building event we can help by providing a unique experience with photo sharing elements, challenges tied to the secrets of the city and most importantly YOU!